State Polls: Will PH take Sarawak? 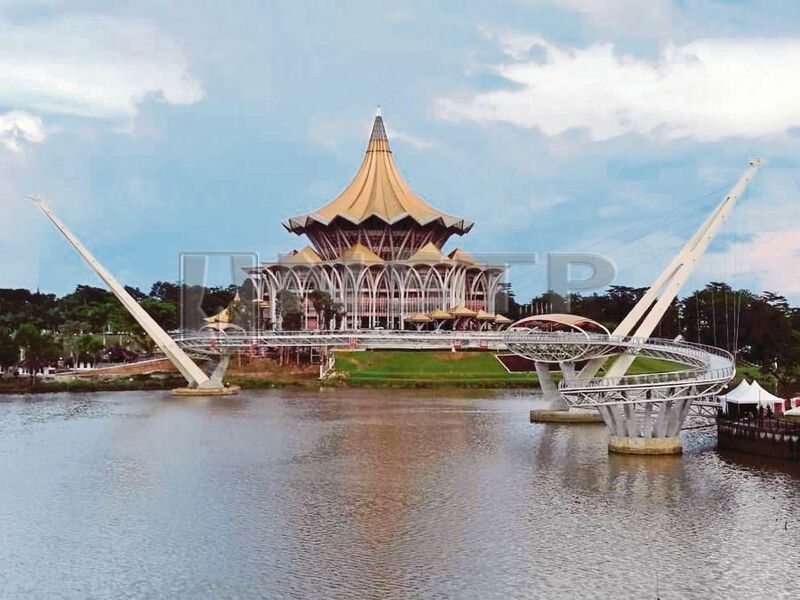 ON the morning of May 10, when it became certain that there was to be a change in national government, a rather exquisite problem confronted the Sarawak government, the only one in the country not affected by the general election the previous day. There were intense political manoeuvrings through the particularly long night of May 9 as it became clearer by the hour that Barisan Nasional (BN) had lost. Sarawak political stalwarts made contact with Tun Dr Mahathir Mohamad, it is learnt. It must have been clear to these individuals as the polls results trickled in that the state’s uncommon leverage with the incumbent national government was fast ebbing away. The question uppermost in the minds of the powers that be in Kuching that night was not so much one about switching sides as how best to preserve the state government’s political interests. As it turned out, unsurprisingly perhaps, they rather made a hash of it, going by some accounts. Word almost immediately went out for the state BN’s representatives not to attend a meeting called by the national BN on May 10. In the confusion of that particular day, some still showed up for the meeting nevertheless. Thus was the state BN ditching the sinking national coalition like some hot potato, in a most unedifying manner. It sent the message out loud and clear that despite all the state protestations that the then prime minister Datuk Seri Najib Razak and his government were the best that Sarawak could ask for, the calculations then (and most likely, now) were all related to political expediency and transactional politics. And as the lurid revelations related to 1Malaysia Development Bhd keep coming thick and fast, the Sarawak government (quickly re-branded under Gabungan Parti Sarawak or GPS) is confronted with a dilemma as it girds for the state election, likely in 2021. Should it be making a stand publicly about probably the single biggest national scandal ever and which unseated an incumbent national government for the first time? Given how the BN had been so unceremoniously dumped right after the May 9 polls last year, some would argue that that very act speaks for itself. To be sure, there is still lingering nostalgia for the Najib years when the state wrung all the concessions it could, knowing full well the political sway it then held over Putrajaya. Political patronage still goes far, especially in the rural heartlands of this far-flung state where elections are won or lost. Which is probably why the state government now feels a pressing need to keep the patronage taps running, to make up for any shortfalls in funding support from the new federal administration. Seen in such a light, the 1MDB controversy is but just a side distraction with negligible bearing on political fortunes in Sarawak. Perhaps GPS has already conceded that Pakatan Harapan (PH) will sweep urban seats in the looming state polls. But PH is also making inroads into semi-urban areas as the results of the last parliamentary polls in the state show. Will it be able to extend such gains come the next state polls? Dayak voters who collectively send representatives to about half of all state assembly seats will be keenly monitored this time round. They have been deeply divided, which is their perennial political Achilles heel. The other big question is whether PH will be able to finally also break the stranglehold GPS has over the Malay-Melanau vote bank which is the latter’s “fixed deposit”. If it does, that will make it the most “equal” electoral battle in the state in a long time. It will also check an unhealthy slide in state politics into polarisation along ethnic lines. GPS is unsurprisingly leaving little to chance. Unfortunately, old habits die hard. It is banking much on a huge splurge in state spending in the next few years making a difference in its favour. It must hope that what it likes to stress — that what happened in the peninsula has little bearing on what happens in the state — is true. Still, it is worth noting that a generous federal splurge prior to the last general election did not do the trick. As in the peninsula, much probably depends on whether Sarawak PH can find a credible leader to coalesce around and one who can tap into the Dayak disquiet, while also igniting overall sentiments jaded by nearly five decades under roughly the same ruling coalition. As of now, that leader is missing. New political coalition in Sarawak?